I’m putting together the final touches on my talk in Las Vegas this weekend at Life Choices: The Event. I’ve developed something I call the 7 C’s of filling the canvas of your life. Creativity is just one of the C’s, but as we writers and artists know, it’s critical to everything that we do. It’s always a surprise to hear that people don’t believe they are creative – and even more startling, that they don’t believe they can BE creative. I just can’t accept that. Everyone MUST be able to fire up their creativity, even if they can’t be on first name basis with the Muses as some lucky souls are. What are my 7 C’s? 1. Choice. The decision to act. 1st choice: That you choose to act. 2nd choice: What you choose to do. 3rd choice: How you choose to make it happen. 2. Creativity. Fill the canvas of your life in your own special, unique way that’s not like anyone else. Copying is NOT one of my 7 C’s. 3. Craft. Your individual talents and skills impact your ability to manifest the ideas that spring from your creative inspiration. 4. Color. How warm or cool is your personality palette? How bold or how nuanced? Will you be shades of monochrome or a rainbow? 5. Courage. You can’t play it safe. Mistakes are good. That’s how we learn. Conquer not only fear of failure, but also of being different. Our lives are like the blank canvas of a painter. Or the blank page of a writer. We’re given some basic tools to start out; some have more than others. But our choice is to paint how we want to live – or to let others do it for us. We can copy what someone has already done. We can even be masters at it. But the White Moments, the bliss and the Zen come we are creating. That’s when we feel we are living more fully than during the rest of life. We feel good – good about the world and good about ourselves. We are full of hope. The next part of my talk focuses on what you can do to be more creative. I’ll cover that in another post. 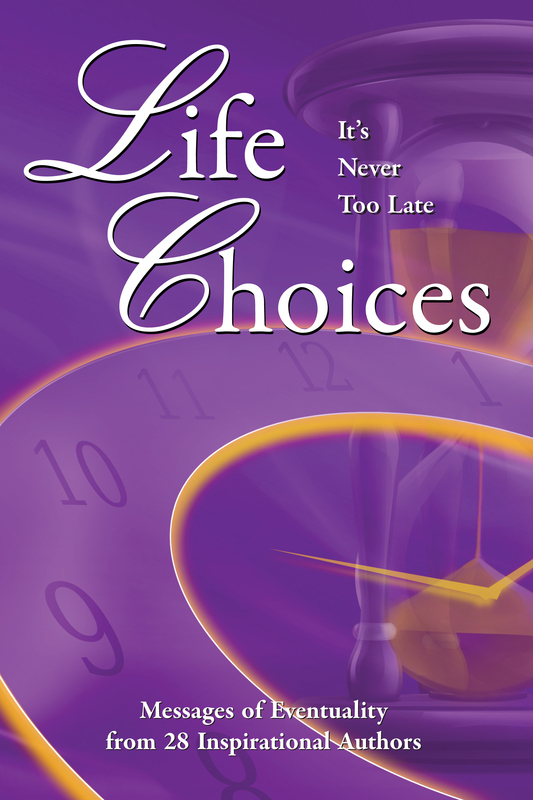 Sunday, March 25 is also the launch date of the fourth of the Life Choices Anthologies: It’s Never Too Late. My piece is called “Road to Vegas” where I talk about my journey to becoming a writer in the years when the peaks of my life might have been over. Instead, I’m having more fun, working harder and am more creative than I’ve ever been. Cheers to the Muses! May they sing forever in my ear.